Lotus hurricane lantern designed by Kristina Stark. 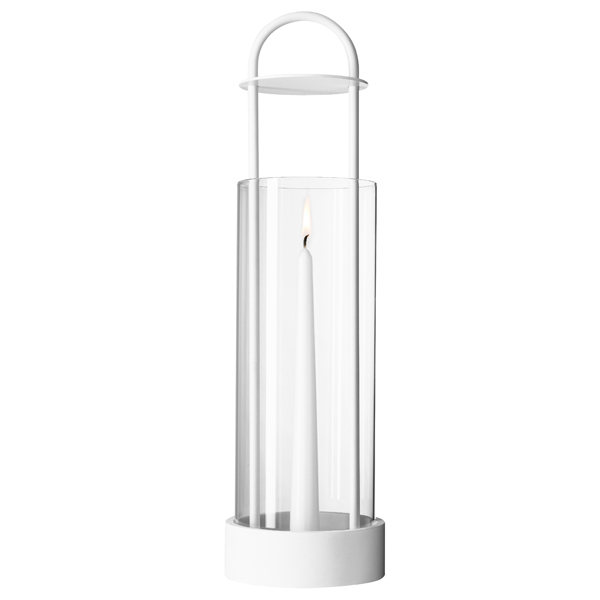 The lantern accommodates standard taper candles and block candles. 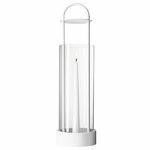 Lotus consists of a glass tube, a steel handle and a polyresin base. The Swedish designer Kristina Stark studied industrial design at Konstfack in Stockholm and the Central Saint Martin’s College of Art and Design in London. During several years Stark has worked as a freelance designer designing objects for the home, the kitchen and the dining table for both Swedish and international clients. She has also won several awards and been present in exhibitions around the world. According to Kristina herself: ”I’m driven by the desire to create objects for everyday life, that people will use often and which they will be delighted to use. I’m not aiming for effects, but for a simple and restrained style.